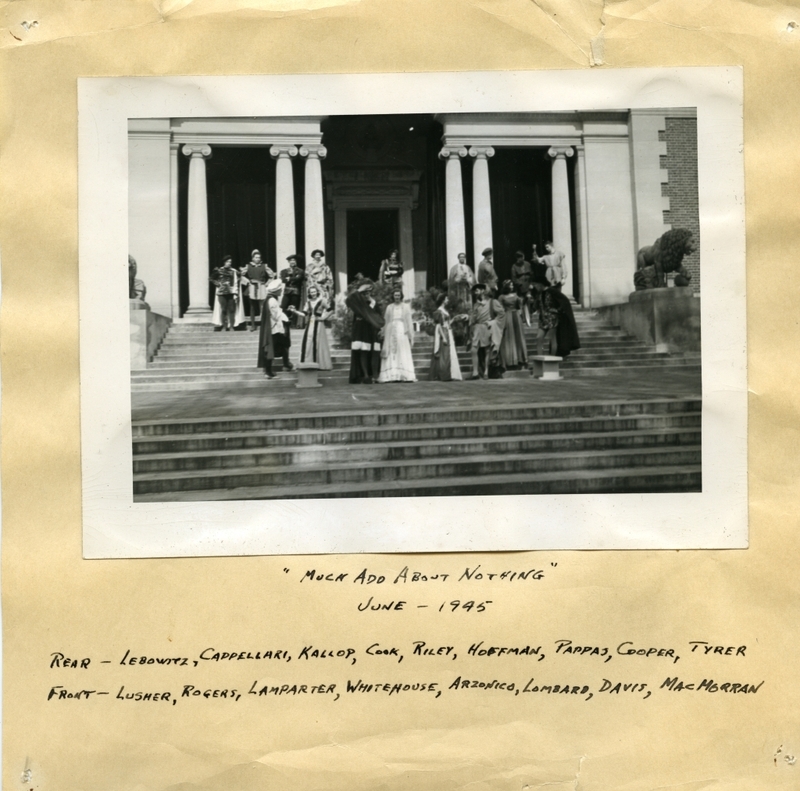 Group portrait of the cast of "Much Ado About Nothing" in costume on the steps of the Walker Art Building. Back row, left to right: Lebowitz, Cappellari, Kallop, Cook, Riley, Hoffman, Pappas, Copper, Tyrer. Front row: Lusher, Rogers, Lamparter, Whitehouse, Arzonico, Lombard, Davis, MacMorran.